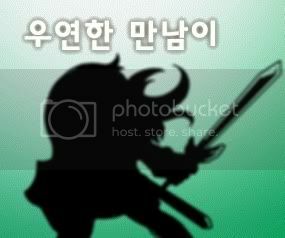 This shows a warrior attacking a snail but again, it's black so you can't really see much. This is the most interesting pic. It's blurred, but you can see some stuff. -The NPC, judging from its hairstyle might be a girl. but idk. -The NPC seems to have a sword next to it. -The NPC looks like its leaning against the sword. -The player looks like its wearing "Brown Lolico Armor" so its definatly a warrior. 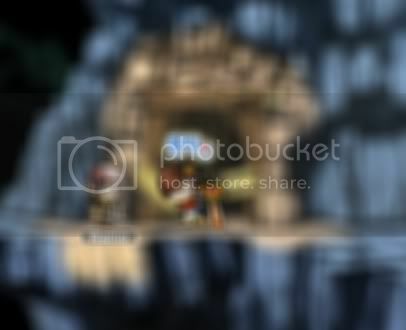 -The map seems to take place in a cave, kinda like sleepywood. So this may not be a resistance job. -The NPC MIGHT be the job advancment person but it says 'Click' over its head so it might be a simple person who's giving a quest. But because there's a door behind the NPC, the NPC might have a quest that sends you to a map to kill mobs, like Cygnus or Arans. -The player's IGN is too blurry to be seen. -The NPC dosen't seem to have a name... thats odd, but this might be very early development so the NPC may be given a name later. 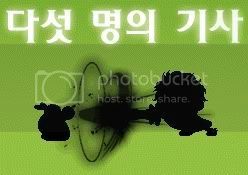 EDIT: Somone on spadow's blog translated it, and it's an Earth element warrior. Also, in these words has the word "Gaia" in it, which is an element representing the earth. Still, I can't confirm if it is true. that's why i love female warrior.